Posted on 2 July 2012 and filed under Clutch Bags, Second Life. 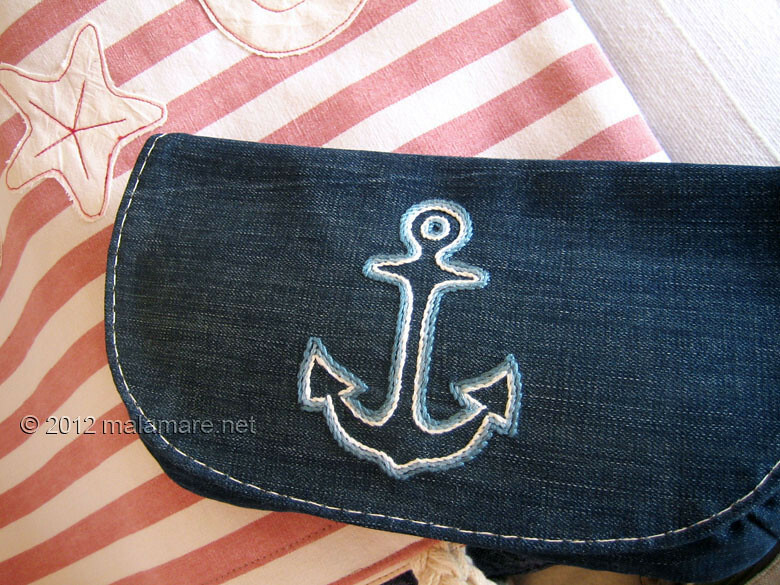 It is summer, time for a bit of nautical touch, isn’t it? 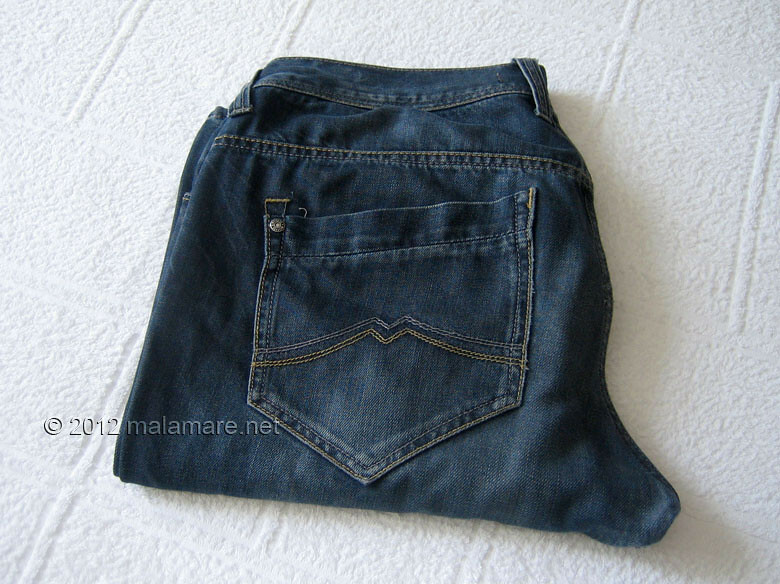 So, thinking of a casual clutch bag for a slow and easy evening walk, and looking at friend’s old and torn jeans… (Siniša, thank you for the jeans!) 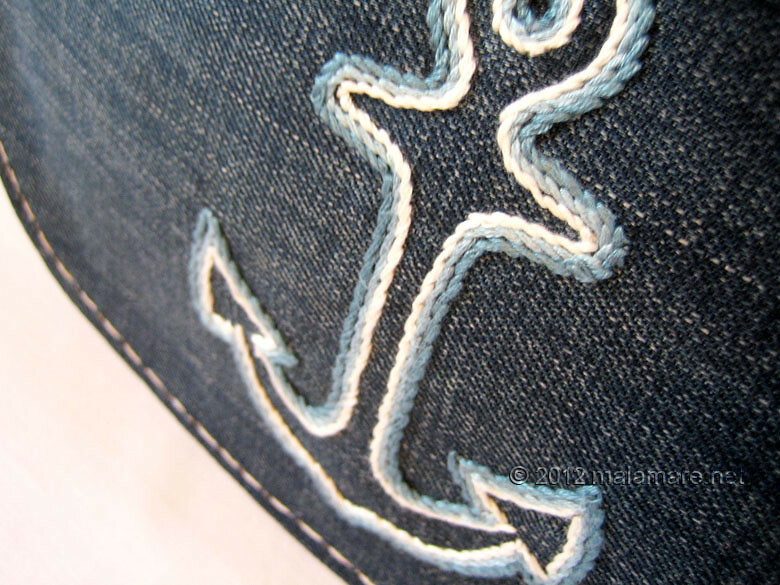 some blue embroidery thread later… jeans and anchor bag! 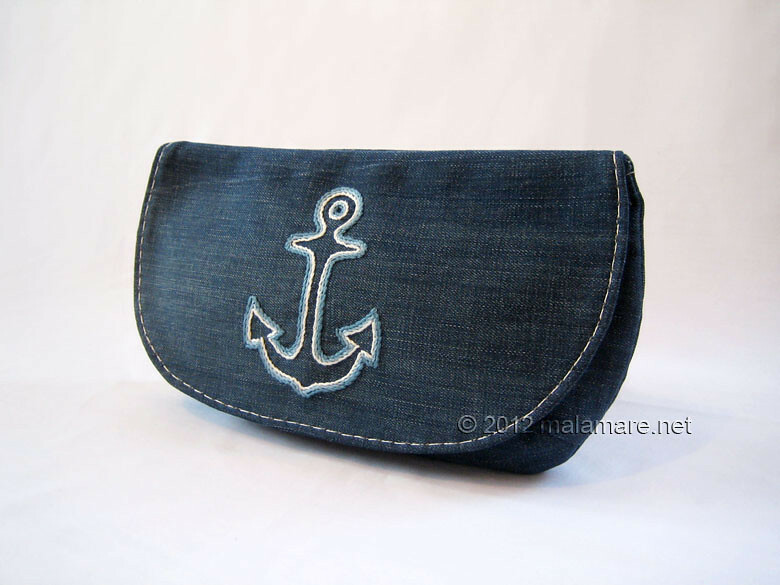 Anchor clutch bag is made from old blue jeans, giving the jeans their second life. 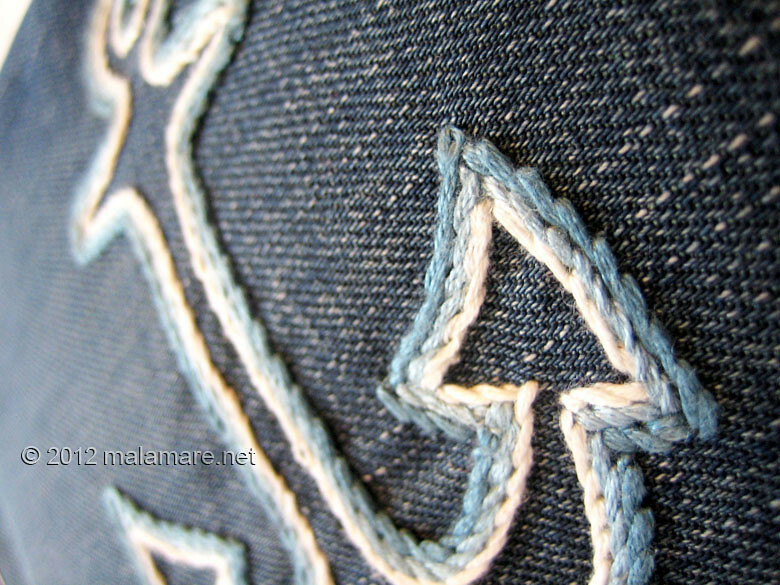 It is decorated with an anchor that I hand embroidered in stem stitch with embroidery thread in two shades of blue and a bit of beige. 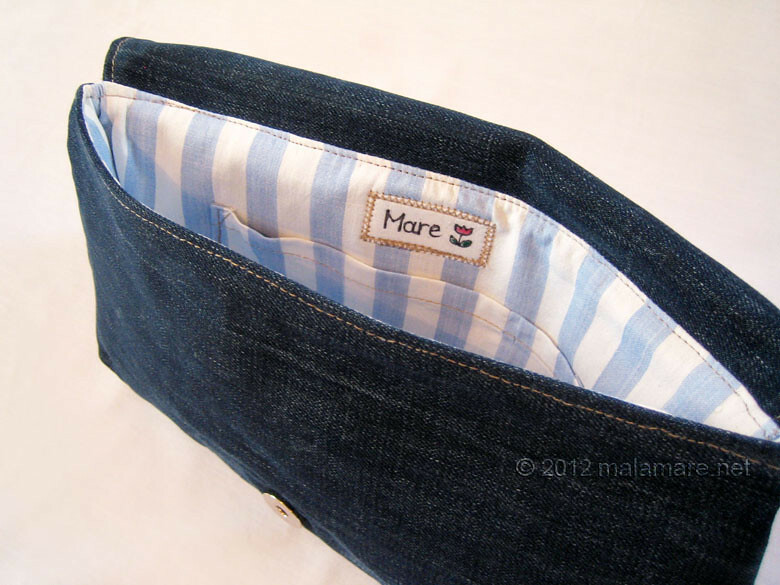 It measures 30 cm by 17 cm, it is interfaced for firmness and shape and lined with blue and white stripes patterned cotton fabric. There is a pocket inside of the bag and the bag closes with magnetic snap closure. A ta ljepotica spada u višu klasu, nadam se. Divna je. vez u 3 reda. Nikad me ne razočaraš. dapače. I Z. se sviđa. Spada, casual luxury:) Hvala puno! Pozdrav Z.! Aaaaaaaaaaa, nisam ju vidjela na FB!!! A nekako sam su ju bezecirala u mislima!! Divna, divna! Nije do mene…. Kad su mi sve tako dobre!